We at HealthLabs.com believe that protecting your private information should be a priority. From the moment you contact us, whether by phone or online, we do everything possible to guard your personal information. 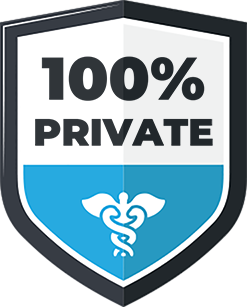 We abide by all state and federal laws regulating medical privacy including the HIPAA Privacy Rule. This Statement of Privacy applies to HealthLabs.com and governs data collection and usage. By using our website, you consent to the data practices described in this statement. HealthLabs.com collects anonymous demographic information that is not unique to you, such as: age, gender, and geography. HealthLabs.com does not collect any personal information that makes it easy to know it is you unless you voluntarily provide it to us. However, you may be required to provide certain personal information to us when you choose to use the services available on the Site. These may include: (a) registering for an account on our Site; (b) sending us an email message; (c) submitting your credit card or other payment information when ordering and purchasing services on HealthLabs.com. Sparingly, we will use your information for communicating with you in relation to services and/or products you have requested from us. The personal information HealthLabs.com collects is used to operate the website(s) and deliver the services you have requested. HealthLabs.com may also use your personally identifiable information to inform you of other products or services available from HealthLabs.com. 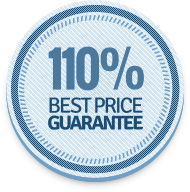 We also encrypt your data with industry standard 128-bit encryption. This means all transactions between you and the website are secure. The information you provide to us when you make an order is stored in our secure database. HealthLabs.com does not sell, rent or lease customer information to third parties. HealthLabs.com may share data with trusted partners to help perform statistical analysis or provide customer support. All third parties, including labs, are prohibited from using personal customer information except to provide these services to HealthLabs.com. They are required to maintain the confidentiality of customer information. HealthLabs.com may keep track of the websites and pages users visit within the Site, in order to determine which HealthLabs.com services are most popular. This data is used to deliver advertising from HealthLabs.com to customers whose behavior indicates that they are interested in a particular subject area. Information about your computer hardware and software may be automatically collected by HealthLabs.com. This information is used for the operation of the service, to maintain the quality of our service, and to provide general statistics about the use of the HealthLabs.com website. This data is only kept for thirty days. HealthLabs.com welcomes your questions or comments regarding this Statement of Privacy. If you have any questions, comments, or concerns regarding the information in this Policy, please contact HealthLabs.com.